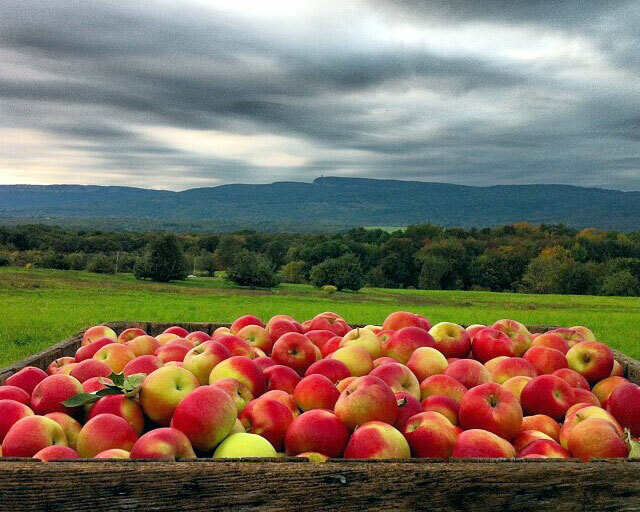 Apple Hill Farm is located in the town of New Paltz, New York overlooking the scenic Shawangunk and Catskill Mountains. Our farmstand is open to the public beginning from September through October. Visit our beautifully restored 1859 barn full of homegrown quality fruits and other farm-fresh specialties. We open for the season with local sweet corn that is picked fresh daily. Also, tomatoes and early McIntosh apples. In September we begin the apple season with McIntosh, Cortland, Opalescent and Spartan and end the season with Red and Golden Delicious. Enjoy a hayride, come and get fresh pressed apple cider and take home some of our famous mulled apple cider donuts. Tables are available for a picnic or, if you prefer, bring a blanket to relax and enjoy the views. We are pet-friendly. 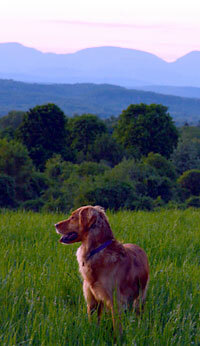 You may bring your dog, though we respectfully ask that you do keep it on a leash at all times.